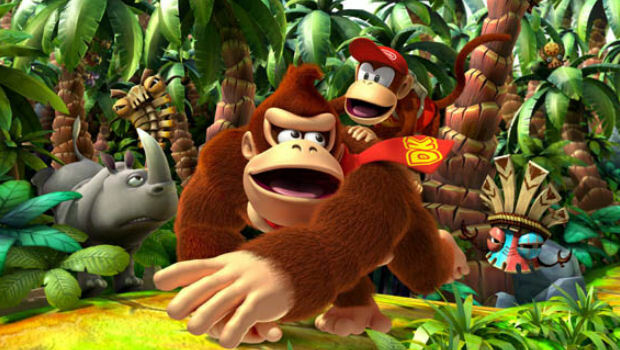 Nintendo announced today that Donkey Kong Country Returns 3D will hit he 3DS on May 24 in North America and Europe. The game, first announced in February, is a 3D port of the 2010 Wii title and is being developed by Monster Games (as opposed to Retro Studios, who handled the original Wii version). The Wii version was well-received – it currently sits at an 87 rating on Metacritic. Returns is itself a follow-up to the hit Donkey Kong Country platformer series, which saw three games release on the SNES in the ’90s. A trailer for the game is available on the Nintendo 3DS eShop now. Are you looking forward to playing Returns 3D? If you played it when it originally hit on the Wii, will you replay it? Let us know in the comments below.